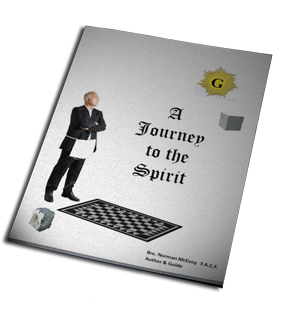 One of the three principal supports of Freemasonry. It is represented by the Ionic Column and the Worshipful Master; because, the Ionic Column wisely combines the strength with the massiveness of the Doric; with the grace. without the exuberance of ornament of the Corinthian; and because it is the duty of the Worshipful Master to superintend, instruct, and enlighten the craft by his superior Wisdom. Solomon King of Israel, is also considered as the column of Wisdom that supported the Temple. The word “wisdom” is used quite freely in these, and many more examples. But what is wisdom? And where does one find it? It is suggested that it could be found in Masonry, because Masonry is a sanctuary, a place to breathe, a place to think quietly, and a place to grow wise. It is clear that “wisdom” is not a thing of itself, but rather a use of other means and materials gathered over a lifetime. Wisdom is using the resources of knowledge, of experience and of good judgement; it is, therefore, the action, the proper use of the tools of the mind, brain and soul. The desire to learn is the beginning of wisdom and so it is very significant that we speak of becoming wise, for wisdom is a creative energy, and its fruits are temperance, fortitude, prudence and justice. The human heart is like a bottomless well; it is always thirsty and searching for the quietude that comes only after the heat and turmoil of living has been overcome. It is certain that the key to civilization is not technology, but the wisdom that comes from ample leisure. As it is humanly impossible to know all the facts, to count the sand of the sea or the drops of rain; it becomes the task of wisdom, therefore, to recognize our limitations and faults. One cannot think, much less develop new ideas, unless one has units of comparison and wisdom provides the experience and right judgement for this. Intelligence all by itself is useless, but added to energy and willingness it becomes formidable; combined with knowledge it has no limits. It is apparent that wisdom is a lonely personal affair and is similar to the loneliness of the leader, for one has stepped beyond the limits of other men and stands apart. Masonry can provide a path to wisdom, along which one meets the happy companionship, the friendliness, the morality and the spiritual values that finally blossom into wisdom. A learned man cannot take you into the sphere of his own wisdom, but can only propel you along the path and leave you at the door to your own wisdom. Many of us remain outside that door, but those who enter are blessed with abundance. In wisdom there is an intelligent, lucid and Holy Spirit; wisdom is knowledge, but not knowledge for its own sake, but knowledge which helps to widen the horizon and deepen the communication between man and man. Masonry may be termed a progressive science but it is also a reflective science, a place to think, to become human, to consider one’s fellowman, not as an integer, but as flesh and blood, and, above all, as a stepping stone to wisdom.